On Thursday, I bring my 3 kids to pray at a temple near Naka. It's about 1 hour drive from Alor Star. The temple there held the candle lighting prayer. It's believe will bring us brighter future and success in whatever we do. 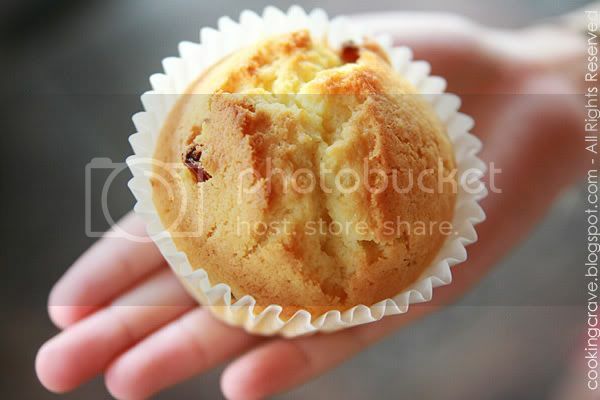 I bake this butter raisin cupcakes and bring it along, just in case my kids hungry they can have a bite on it. 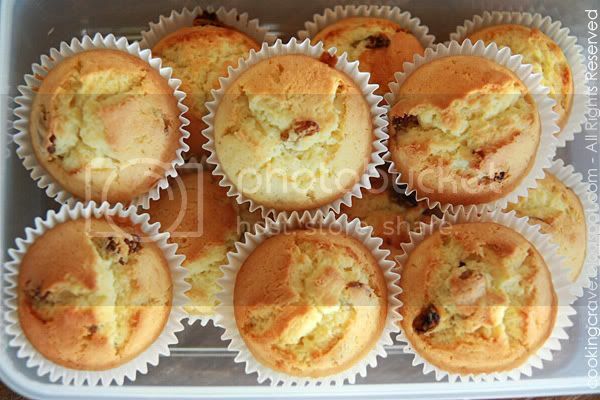 A quick bake, nothing fussy or complicated ~ 12 Butter Raisin Cupcakes are ready in less than an hour time. Tada... here is my 12 yummy cupcakes!!!! Sieve cake flour, baking powder and salt. Set aside. Add in egg one at a time and mix till it's well combined. Fold in flour mixture slowly until finished all the flour. Lastly, add raisin and mix well. Scoop the batter into cupcake liners and bake in the preheated oven for 30 mins or till it's golden brown colour and cooked. A very easy recipe for baking newbie out there. Do give it a try!! P/S: If you wish to add more raisin, reduce the amount of sugar used or it'll be too sweet. Hi, thanks for the recipe. It suits my need as a baking newbie. I'll try it out next week. A quick bake, yet such wonderful result! Tracie: Thank you! I think lighting alway plays the important part in photography. Little Inbox: You are welcome, try out and let me know the result. Colin: Thank you! I love your pictures too. Giggle: Ya, I'm back finally..hehe! The cupcakes look so delicious!! Better than those sold in the bakery shop. I must give it a try. Btw, your shots are great too!